After the recent announcement of their UK tour, The Orielles have also announced the release of their new single ‘‘Joey Says We Got It’, on 17th October 2015 as part of this year’s Cassette Store Day. The track will be released via Weiner Records on cassette, as well as being part of a very special cassette release by Alcopop! and Superfan99, alongside a digital release. Cassette Store Day favourites Alcopop! have teamed up with Super Fan 99 for a unique release – as well as three acts from each label featuring on the release, they are also giving the opportunity for any band anywhere in the world to be included. They’re releasing 56 bands in total this Cassette Store Day, and The Orielles are one of them! The track will also be available digitally, and is their first single since ‘Space Doubt’/’Just Like Glue’, released in April. 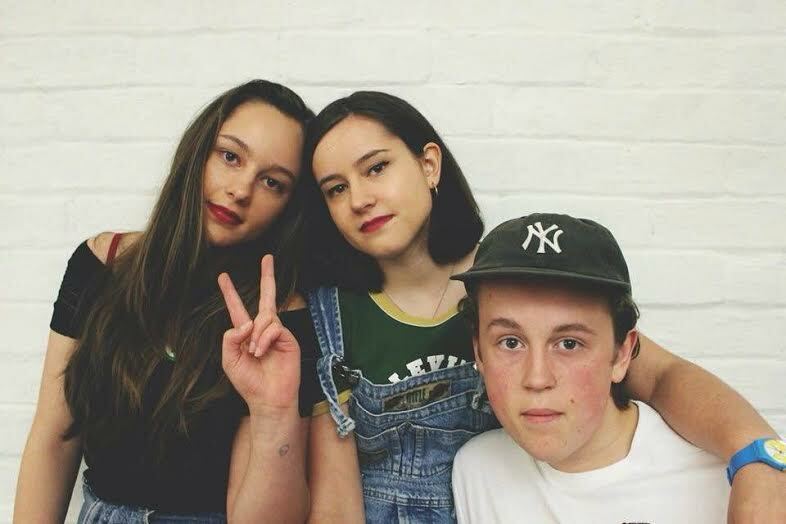 The Orielles – made up of sisters Esme and Sid Hand-Halford and friend Henry Wade – formed after meeting at a house party, with the sisters only learning how to play their instruments after getting the band together. Keen advocates of DIY methods and following riot grrrl bands and California groups, The Orielles put their own stamp on their lo-fi influenced sound. After receiving strong praise from NME, Steve Lamacq and Amazing Radio’s Shell Zenner, The Orielles have grown a strong following in Leeds, Manchester and their home of Halifax – but the trio are now eager to make noise in other cities across the country.